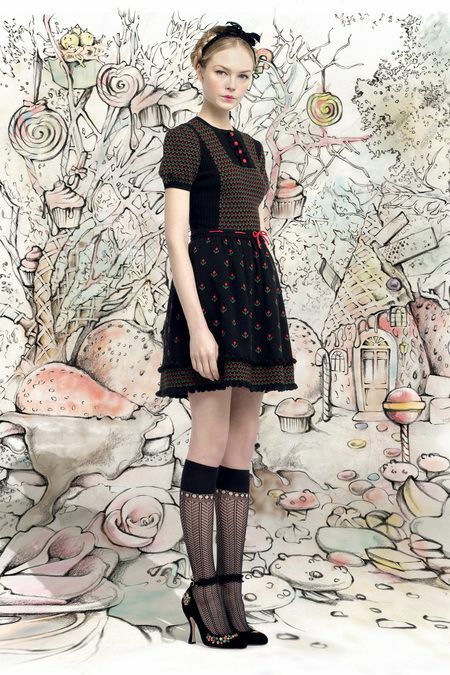 The F/W 2013 Red Valentino line was inspired by Hansel and Gretel. 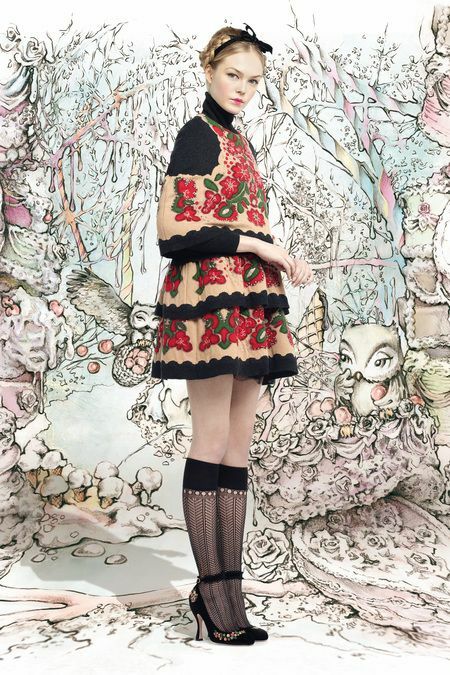 I love Red Valentino, and I love fairytales, so this season is basically my dream come true. Here are my favorite looks from the collection! I like plaid the most when it's cut on the bias, like it is in the skirt of this coat. It's so feminine and pretty, and has such a beautiful drape. such a pretty take on the trenchcoat! this coat is like a perfectly updated version of something Doris Day would have worn. I also love that the jackets and coats in this collection have 3/4 or bracelet-length sleeves, it's so flattering to have the wrist showing. this lemon-yellow is such an unexpected, cheery color for autumn! 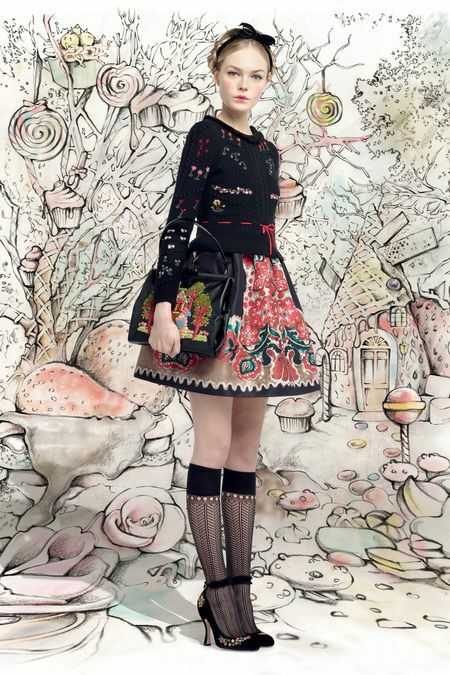 I really want a better look at that bag-- I hope it's done by the same illustrator who does the backgrounds for the Red Valentino photos every season, it's such gorgeous work. Can I just have everything from this collection? Please? That's totally a realistic goal. I'm almost sure of it. If you're a newer reader, here are my favorite Red Valentino looks from Spring/Summer 2013 and Fall/Winter 2012. To see the rest of the line, check out Style.com's slideshow. Such a gorgeous collection, so many pieces I love! I think the yellow outfit is one of my favourites, it's a shame yellow really isn't my colour, not that I can afford it anyway! Oh, affordability, who cares about that? :P Yeah, I will not be purchasing any of the pieces any time soon either... but a girl can dream! I love the yellow outfit, too, I can't wait until the close-up photos are available because I want to see the colorwork on that sweater! I probably could have guessed that you would love this collection, it is definitely your style. Some of those dresses are so pretty, I wish I could add them to my closet! Also the shoes!!! Wow, the looks are amazing! I love the shoes with the socks, so pretty. Thanks for posting it. I'm so glad you enjoyed the post! I love the socks and shoes, too, especially the delicate little floral embroidery on the black shoes. Have a lovely day!